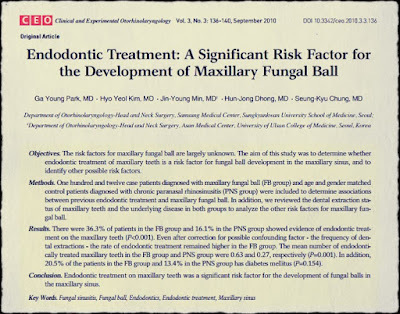 The risk factors for maxillary fungal ball are largely unknown. 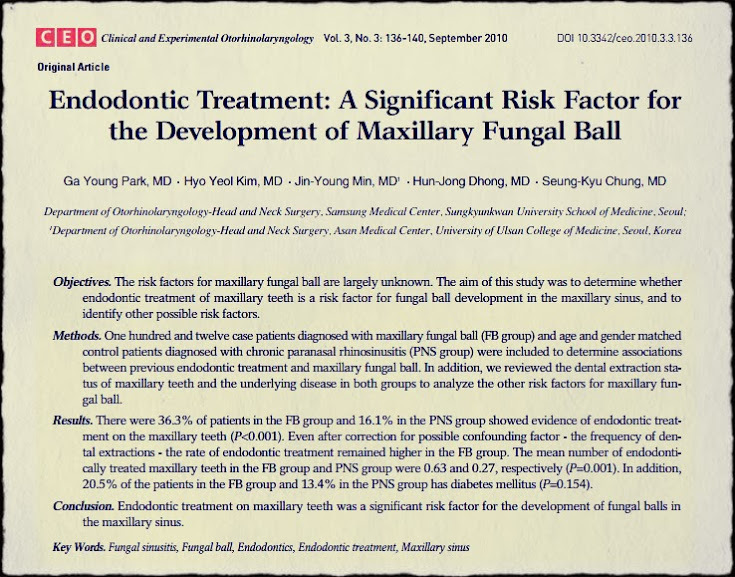 The aim of this study was to determine whether endodontic treatment of maxillary teeth is a risk factor for fungal ball development in the maxillary sinus, and to identify other possible risk factors. A fungal ball of the maxillary sinus is the most common fungal disease that usually develops unilaterally in the maxillary sinus without bony invasion. It is most frequently found in older individuals, especially in their sixties, and has a female preponderance.